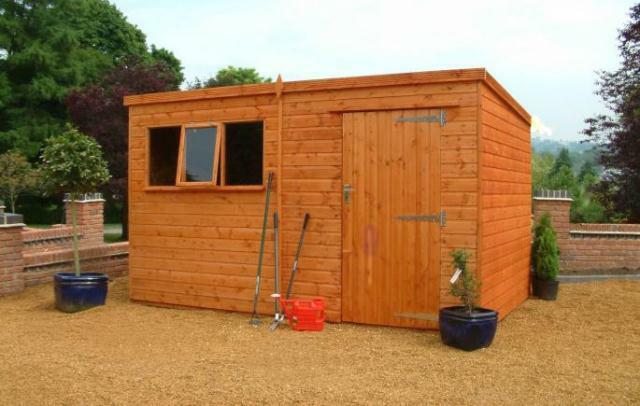 The Heavy Duty Pent shed is a hard wearing garden building with sturdy timber framing and substantial locking mechanism. The Heavy Duty range is made up of substantial wooden buildings, made to high specifications for those who require something a bit tougher than your average garden shed. With 50 x 50mm framing throughout plus diagonal bracing, this garden building is built to last. The door has also been widened to 3ft and framed, ledged and braced in 75 x 50mm timber to make it as solid as possible. A 3 lever lock and handle have been fitted to provide extra security for your tools, and an opening window added to help with ventilation during the summer months. 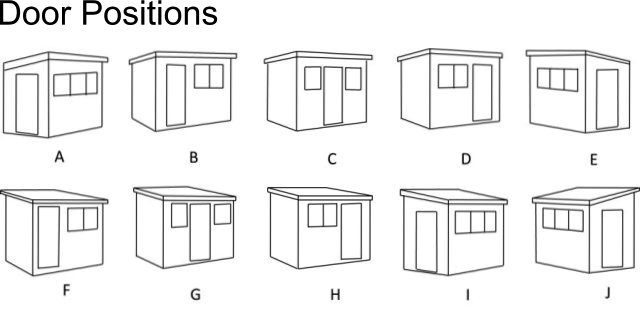 Options such as tanalisation and heavier duty flooring are available to help increase the specification on these sheds even further if required, and a factory painting option allows you to have the building finished in a colour of your choice. The Heavy Duty Pent shed is a hard wearing garden building, with sturdy timber framing and substantial locking mechanism. Delivery and install free in the Midlands area. The Heavy Duty Pent shed is a hard wearing garden building, with sturdy timber framing and substantial locking mechanism.